There is no question that excess gas in your digestive system can be uncomfortable and embarrassing. And while everyone passes gas an average of 12 times a day, some people have a more serious problem--one that is capable of causing extreme pain. If you often suffer from bloating, abdominal pain, and the frequent, involuntary passing of gas, activated charcoal can help. Click Here For Activated Charcoal To Control Gas! When taken internally, activated charcoal has been proven to drastically reduce the amount of gas produced by some foods, reducing much of the discomfort felt by gas sufferers. Many with IBS, Celiac, Colitis, or Crohn's, who suffer even from normal amounts of intestinal gas, have found relief after using activated charcoal. Activated charcoal does a fantastic job of reducing gas internally, as well as the odor that goes with it. But activated charcoal can also adsorb unpleasant gas odors when used externally. In fact, activated charcoal is spun into fabric for undergarments and socks to remove bad odors in the same way it is used in shoe insoles. 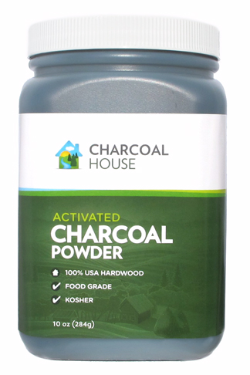 You'll find much more information on the benefits of using activated charcoal when you browse our departments at BuyActivatedCharcoal.com. In addition to the large library of informative articles, you'll have access to a well-stocked storefront of activated charcoal products. Make a purchase today, and experience the super natural wonders of activated charcoal for yourself.